My latest book The Surnames of Cornwall is now published. Copies can be purchased direct from me, price £9.99. It is also available from The Edge of the World Bookshop, Penzance and from Amazon. There is also an ebook version available for £7.99. For more details of the book see here. My aim on this site is to provide a comprehensive first port of call for anyone seeking accurate and trustworthy information on Cornwall and its history. I’ll be adding more topics over time. Plans include sections on the origin of Cornish towns, contemporary socio-economic statistics and some bibliographies on aspects of Cornwall’s history. Regular summaries and reviews of academic work on Cornwall can also be found here. Suggestions for further topics are welcome. You’ll also find a full list of my own publications on the site, some of which have links to full text versions. (For those who don’t know me, I was Senior Lecturer in Cornish Studies at the Institute of Cornish Studies before retirement.) Meanwhile some details of my current and recent projects can be found below. For a chapter by chapter synopsis see here. 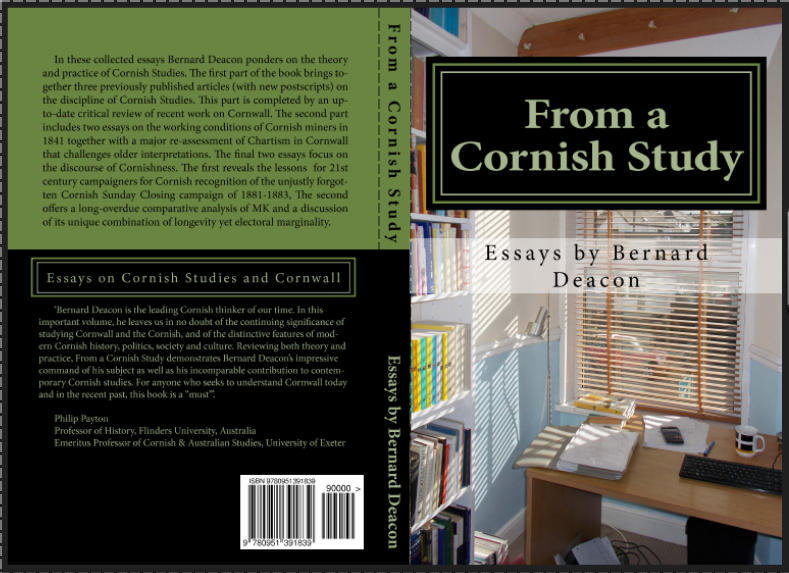 If you’re interested in this can you afford to miss From a Cornish Study: essays on Cornish Studies and Cornwall? 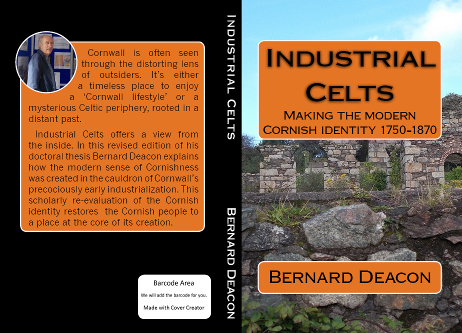 This 226 page book, published in 2017, is available from Amazon at £9.99 plus postage or the Federation of Old Cornwall Societies bookshop or the Royal Cornwall Museum shop, Truro or direct from me. Hi there.. I am have just started doing my family tree for PETHERICK. I live in New Zealand so therefore our name is quite uncommon here. I have so far gone back approximately 500years and have traced my 10th Great Grandfather which is so exciting and it seems most of us have derived from Cornwall.I have lived in NZ all my life of 55 years. I am interested in what you may know about the name PETHERICK.